(CNS): Updated 5:30pm — The interim administration, and in particular the new premier, is facing legal action in connection with the sale of the Ritz-Carlton, Grand Cayman as the new owners claim it has failed to deal with the transfer but has cashed the US$11 million transfer tax cheque. RC Cayman has filed an application with the Grand Court seeking a Judicial Review over government’s failure to register the transfer of title to the new owners since December, despite repeated requests. The new owners also allege that government is in collusion with the former owner and is attempting to extort the $6 million duty debt run up by Michael Ryan. Last Thursday, Premier Juliana O’Connor-Connolly confirmed that her ministry was still examining the sale, which took place at auction in October 2012. The former premier, McKeeva Bush, instigated the review of the sale as he accused the buyers, who are also the creditors of the former owner’s debt, of manipulating the sale and undervaluing the hotel. In a statement to the nation he said he intended to ensure that the firm paid more duty and also tied them to the duty waiver debt that had remained unpaid by the former owner Michael Ryan’s various companies. The new owners have suggested that this is blackmail and government’s failure to act lawfully where the sale is concerned is also a breach of the anti-corruption law. The owners have suggested that Ryan has been involved in the statements that were made by Bush. 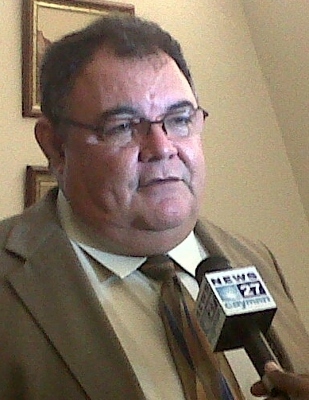 After the current premier’s failure to respond to the correspondence from the new owners, RC Cayman said it was forced to seek intervention from the courts to prevent the government from acting unlawfully. 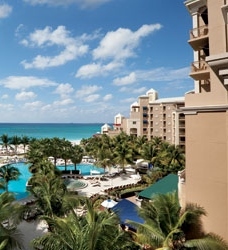 RC Cayman Hotel Holdings Ltd and RC Cayman Property Holdings Cayman Ltd, who are the new owners of The Ritz-Carlton, Grand Cayman, took possession of the resort from the former owner and developer, Ryan and his various companies, after he defaulted on the debt owed to its parent company. The owners assert that government has unlawfully failed to register the transfer of lands relating to their purchase of the property and has unlawfully failed to adjudicate Stamp Duty on the transfers, in accordance with the valuation agreed in October last year by its own chief valuation officer. “We have repeatedly written to the government and most recently on February 19 and February 25 to the current Premier and Minister of Finance, asking for the transfer to take place. To date we have not received the courtesy of a reply from the government,” said Jim Glasgow, a Director of RC Cayman Property Holdings Ltd. Unable to secure even an acknowledgement from the Office of the Premier and Minister of Finance, the owners said they were forced to exercise the option of legal action. The application for the judicial review, which was filed Monday afternoon by Conyers, Dill and Pearman, lists the registrar of lands, the chief valuation officer and the premier and minister of finance. “We are institutional investors in the Cayman Islands who purchased a property following the established rule of law. We have followed the established and agreed processes and simply want the government to do what it is legally bound to do," added Glasgow. He said the Ritz-Carlton hotel was an important part of the local tourism industry and since the foreclosure auction they have invested over US$71 million "to guaranty stable ownership and have approved planned refurbishment for the hotel in excess of US$12 million for 2013." Glasgow said that it was extremely difficult to justify investing the capital into the hotel and the local economy without the government registering the transfer of title, particularly when there is so much uncertainty about what laws the government will or will not decide to follow. “The government cashed our US$11.6 million check for transfer taxes on December 28, 2012 and is violating the law by not recording the deed,” he stated. See full details of grounds for the JR application on CNS Business. 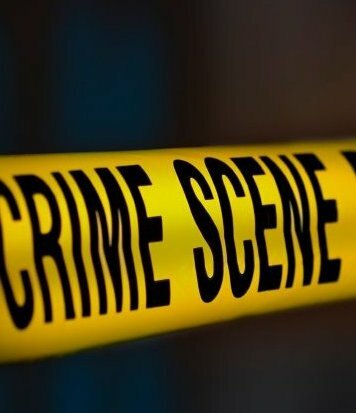 (CNS): A 64-year-old woman was mugged in broad daylight in George Town Tuesday morning when a gold necklace was snatched from around her neck. The police said the woman’s jewellery, a chain with a Spanish gold coin pendant, was pulled from her neck by a man riding a bicycle at around 9:05am today. The woman was walking in Tigris Street, off Shedden Road, when the male cyclist approached her from behind. He grabbed the necklace and rode off into Myles Lane. Although the woman sustained a slight neck injury during the incident, she did not require any medical treatment. The suspect has been described as being between 15 and 21 years of age, of slim build with a dark complexion. He had short dark afro hair and was wearing a black shirt and dark coloured pants. The bicycle was also dark in colour. Anyone who was in the area this morning and witnessed the incident, or the cyclist making off from the scene, is asked to contact DC Terryanne Iton of George Town CID on 325-6705. 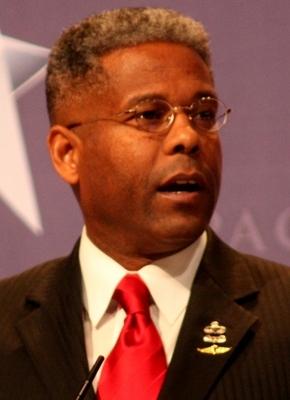 (CNS): US army veteran, former congressman for Florida and the director of Next Generation Programming, Allen West, has been invited to speak at this year’s Young Caymanian Leadership Awards (YCLA) on Saturday 23 March. Although West is seen as a role model for leadership through the specialist programming, which encourages followers to stand up for the nation’s collective future, he also has something of a controversial military history. While serving in Iraq during the second Gulf War he was charged with violating articles 128 (assault) and 134 (general article) of the Uniform Code of Military Justice as a result of the methods he used to extract informaiton from a prisoner. Although West ended up facing an Article 15 proceeding (a non-judicial hearing) rather than court-martial, he was fined $5,000 and retired with full benefits in 2004. After leaving the army he was elected to the House of Representatives by the constituents of Florida's 22nd district. In January 2013, he joined PJ Media as the Director of Next Generation Programming. "We are very excited to have Allen West as our guest speaker at this year’s YCL, at a time when all eyes are focused on the importance of leadership in the Cayman Islands”, stated Melissa Wolfe of the Young Caymanian Leadership Foundation. “Next Generation TV’s goals are a perfect fit for our mission to restore and promote the values and principles upon which our nation was built and our quest for putting forward the most positive example of leadership in all the roles we play in life. We really can make a difference to the choices our children make and what happens to them in our community,” she added. Officials said thateach year the YCLA planning committee, made up of the YCLF and its event partners, Cayman27, Celebrations and the Ritz-Carlton, develop a new theme with fresh, strong messaging that will resonate in the community; for 2013 the theme is "Be The Difference, NOW". YCLA 2013 will highlight the urgent need for immediate strong leadership and community involvement at all levels in order to help inspire hope in our young people, officials said. This year’s finalists are Michael Blackburn, Marzeta Bodden, Victor Crumbley, Melanie Scott and Shomari Scott. The awards on Saturday 23 March will be televised live on Cayman27. 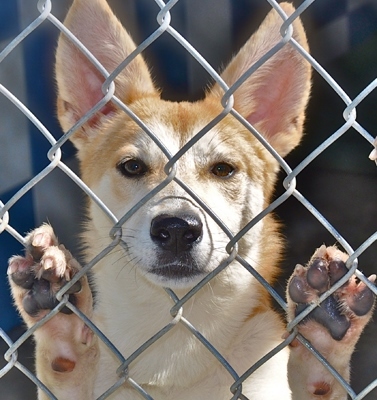 The charity claims this is not the case, and while a few volunteers have refusedto comply with the waiver, new walkers have joined and the dogs, contrary to comments on Facebook, are being walked and taken care of as usual. (CNS): Internationally known actress, host and model, Eva Marcille, the winner of cycle three of the TV reality show, America’s Next Top Model, will be hosting this year’s Cayman Islands Fashion Week, where a collection of cutting edge international designers will be displaying their work during the four day event. Organisers are promising 12 designers this year from London, New York, Africa, Dubai, the Caribbean and the Cayman Islands. After the success of our two previous events under the umbrella of Cayman Fashion Solstice and in an effort to engage the international market, the fashion event has been rebranded Cayman Islands Fashion Week. Eva Marcille presently hosts Oxygen’s Hair Battle Spectacular and is known as Tyra Hamilton on the soap opera, The Young & The Restless. She has appeared on the cover of Brides Noir, Women's Health and Fitness (May 2005), King magazine (June 2005), IONA(November 2005), and Essence magazine. “Her prominent presence and eye for fashion makes her the perfect representative of international and local Caribbean designers that are on the cusp of breaking onto the global fashion stage,” officials from the event said. The three day event will feature the Culture & Style Welcome Party – April 25th, The “MyStyle” Soiree – April 26th and the 2013 Runway Fashion Show which is scheduled to take place on Saturday April 27th at the Island Air Hangar. The four event runs from 25 – 28 April. (CRFU): March will be busy for Cayman rugby with Ashbury College (Ottawa, Canada) and Princeton University RFC (New Jersey, USA) visiting to face off in a series of games against the National Men’s U19 team, the National Men’s XV and Cayman select sides (featuring players not otherwise eligible to play for Cayman from the local CRFU club sides). 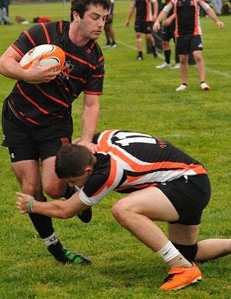 Princeton University, an Ivy League college, has a strong showing in rugby having won the Ivy League Championships in 2004, 1979,77, 73, 71 and 69 and the National Men’s XV with their lackluster showing against top US college team Dartmouth (this time last year) will be out to get their 2013 international preparations to the best start possible. He could offer his support to some of the bills, he said, but he had been given very little time to read and consider the laws and amendment, never mind consult with his constituents about their possible impact.